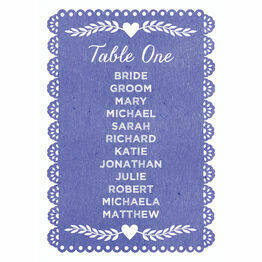 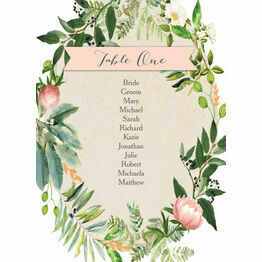 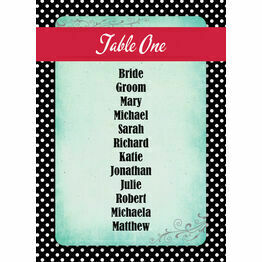 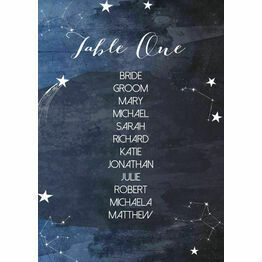 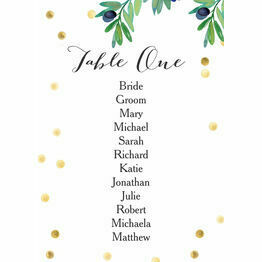 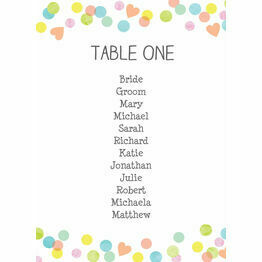 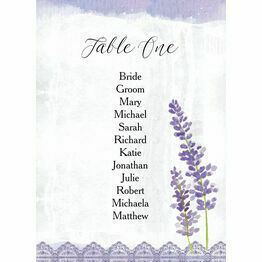 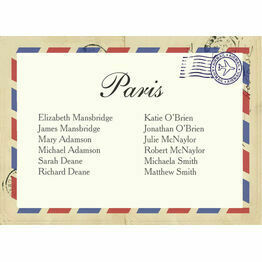 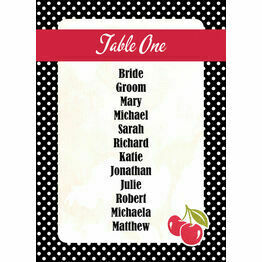 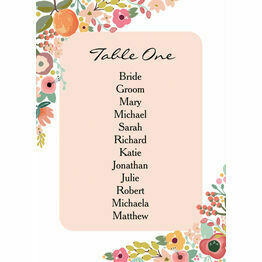 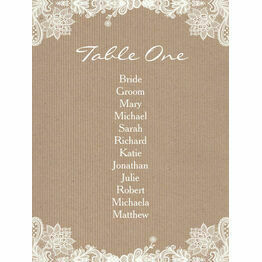 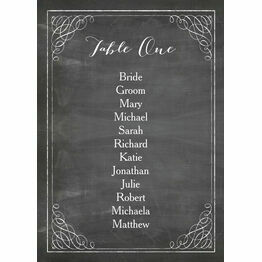 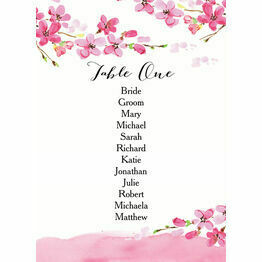 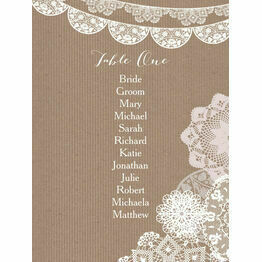 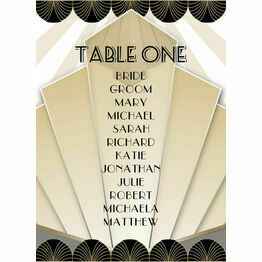 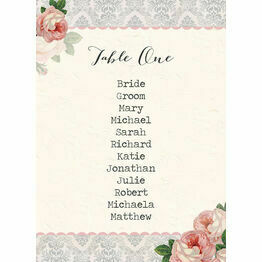 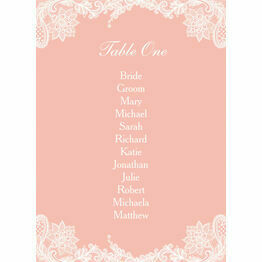 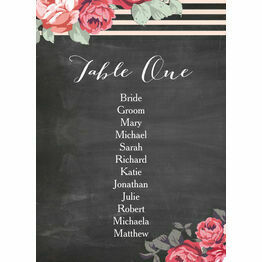 Create a gorgeous seating plan with our range of wedding table plan cards. 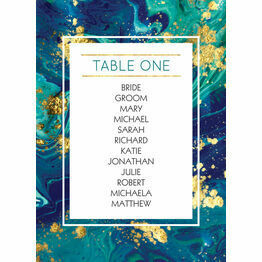 You can customise each design online to include all of your tables and guests, ensuring everyone knows where they are sitting. 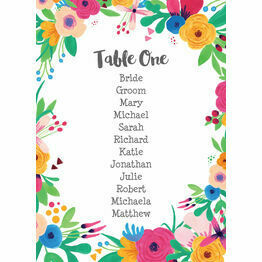 Wedding table plans are a great way to decorate your wedding venue, and will help everything go smoothly on your big day.